Summary : Ride from Eastwood to W. Lindfield via Lane Cove Park. NOTES: Pre-registration required. Starting from Epping Station. Riders to be comfortable with hills. Overall pace Steady 19kmh range with Flat sections ridden 22kmh+. In the event of poor weather the ride may be cancelled, please check the Bike North website. Features Ride from Eastwood to enjoy a pleasant ride through Lane Cove Park to W. Lindfield. 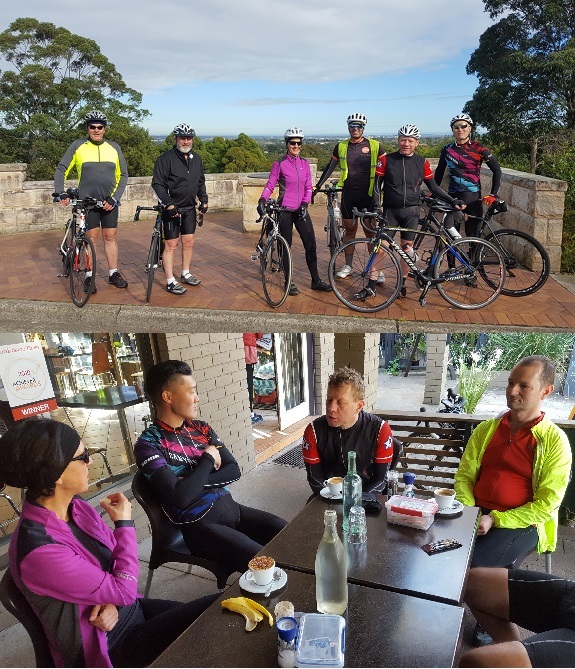 Ride from Eastwood to enjoy a pleasant ride through Lane Cove Park with a coffee stop at West Lindfield or Eden Gardens. From Eastwood we ride up Vimiera Road to Macquarie University. After riding through the university campus we follow roads around Macquarie Centre to reach Lane Cove Park. We then enjoy a tranquil ride through the park. After crossing the weir we discover a little used service road which allows us to reach West Lindfield via a short sharp climb, where we may choose to stop for coffee. We then return to Eastwood via the Shrimpton Creek Trail with a further coffee option at Eden Gardens. As the ride features a few climbs we can enjoy guilt free coffee and cake.